What if I told you that keeping your lifestyle when buying a property is not as hard as it sounds? Would you believe me? The secret is that you can actually rent a property and use your money for investment purposes. See, that’s where the term Rentvesting comes from. Read this article about what exactly is Rentvesting and if it is right for you. While every decision has its ups and downs, you can always make a calculated risk and manage your finances accordingly. Rentvesting Calculator – Should I rent or buy? Making Lifestyle Changes – Is Renting the Right Option for You? Rent a Property or Take the Middle Road? Remember that it is possible to rent a property, even when it is hard to manage the budget. However, you have to have the right strategy for it. 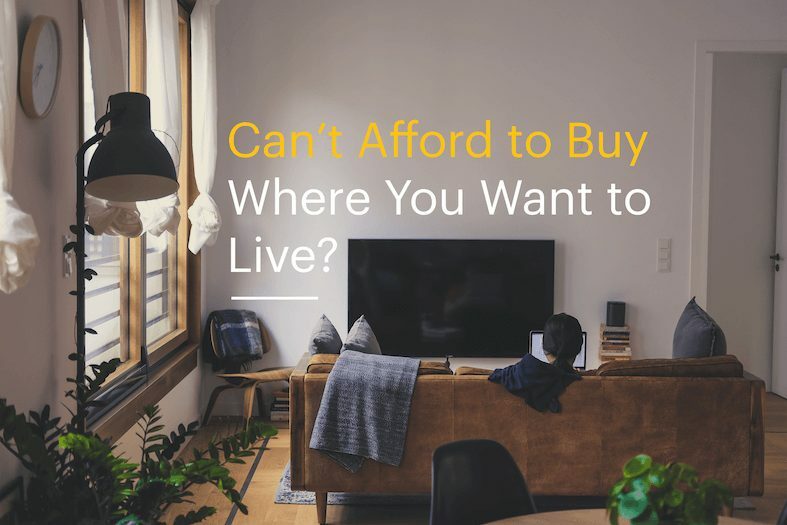 Before you make any decisions, compare the option of purchasing your own house and renting a house you love based on finances and the advantages and disadvantages related to that lifestyle. We’re going to go through the best option for you and whether renting with the idea of investing, or buying a place to live in is for you. If you were looking for a home, what budget do you have in mind? If you were to rent, how much would you spend per week? This page shows you an approximate idea about your overall cash flow from either buying or renting. This is the financial metric that determines what strategy will leave you with the most after tax income while also taking into consideration what percentage of your incomes you would spend on buying a property or renting. Therefore for some, it may be better for some of you to buy or for some of you to rent. The ultimate decision does come back to you on what your priorities are in life, having somewhere to call your own or moving around while being able to build wealth. When you rent a property, it offers flexibility and comes with a freedom to live where you want. It allows you to move whenever you want and live wherever you like. It can also be a suburb that is beyond your reach as a buyer. On the other hand, buying a house is a bit difficult, because you have to manage the mortgage payments, repair and maintenance cost, and insurance payments. You can also rent an apartment near your workplace which would help you save on transport costs. For example, you can rent a property like an apartment with two-bedrooms at a weekly rate of $500 and live an inner-city lifestyle that wouldn’t be easy to find as a buyer. It also allows you to maintain your social life and hang out with your friends and family in that area. Similarly, this lifestyle also enables you to do so many other things. For instance, when the apartment next to your place becomes available in the market at a price of about 1 million dollars, there are so many things you can do. Instead of bearing the burden of mortgage repayments that is higher than your current rent, you can invest in an affordable property with two bedrooms located in a different area, which was tenanted at a weekly rate of $350. Investing in a property while maintaining your lifestyle is a profitable option, but as I mentioned earlier, you have to consider all the risks and benefits before making any decisions. As discussed, there are different pros and cons of renting an apartment or a house. When you purchase a house for residential purposes, it contributes to building wealth. On the other hand, when you rent a property, it feels like you are throwing away all the money for nothing in return in future. It is just like you are making loan repayments for someone else instead of building equity for yourself. Moreover, in many cases when you rent a property, you get very little room to decide how long you wish to stay. This may not seem like a serious issue if you are single and young, but when you start a family, changing houses frequently can adversely affect your family’s lifestyle. So while you might consider rentvesting to be the option for you, often rental life can be hard due to short-term leases and no security in the home you’re living in. Instead of buying in an expensive area, you can purchase a house in an affordable place and rent it out to get the maximum income out of it. Use the rental income to cover the loan repayment and still enjoy the lifestyle you want to live. There are so many suburbs in Australia where you can buy a house at an affordable price. For example, on the western side of Sydney’s CBD, you will find a number of suburbs within the range of 20 kilometres where unit prices are below $500k. Similarly, suburbs that are relatively new might not offer the same lifestyle that you wish to have today, but might be very suitable for you in the future. Buying your first home is a huge decision whether you plan to buy it for investment or residential purposes. Some food for thought – own where you can rent, and rent where you want to live. Therefore, it is important to be very careful and consider all the pros and cons associated with it before you make any decisions. Speak to our team of experts at Hunter Galloway about your options.